Would it live through a disaster? It would be foolish to underestimate the importance of your company's data. Your data is among the most vital assets of your company and essential to the operation and continuity of you company services. The data is the collection of your employees hard work over years. The cost associated with restoration of data on a hard drive that is malfunctioning is massive and not ever fully guaranteed (if it is broken than it is brokent!). We have all came across the horror experiences; but ask this question:, how protected are your backups? No matter what your type of business, your data is critical. You have got precious, unreplaceable important information that you'll require accessibility at virtually any time; data that is continually getting modified and changed. Remote backup will help to make certain that your network data remains available even if a catastrophic event occurs, such as fire, storms, floods. 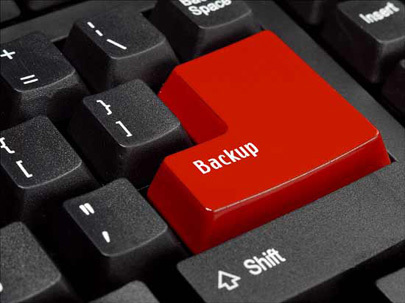 AHB IT Solutions offers only best practice data backup solutions. Whether on premises, remote site or both, AHB IT Solutions will provide the most affordable and most efficient solutions for your organisation. Lost or corrupted data means, your organisation can be severely affected or even closed down. Therefore protecting your company's data is one of our highest focal points.